Recently retired, lovin' the new life! Recently retired and ready to explore Canada and the US with our two dogs! Just normal average folks... :) Did tent and tent-trailer camping for years, but are now trying the Class B (van) RV world for the first time...an interesting learning adventure. 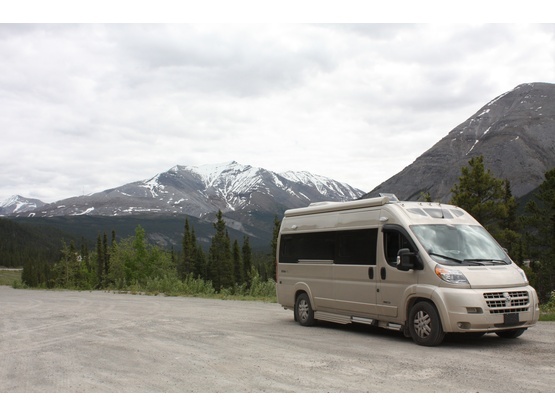 Our first great adventure was across Canada, through the Yukon and Alaska, and back home! We're do-it-youselfers for lots of stuff whenever we can - and pretty good at figuring out how to do a temporary fix if we can't do it ourselves. We have two medium sized dogs, one a bit shy of other dogs, the other is bouncy, outgoing and ready to play with anyone! We do travel with them. We keep them quiet when we stay anywhere, and they are on-leash whenever they are not in the RV (unless our hosts have specifically said they can be allowed to run around somewhere). Outside the Pinnacle entrance of the Badlands National Park in South Dakota...oh my! 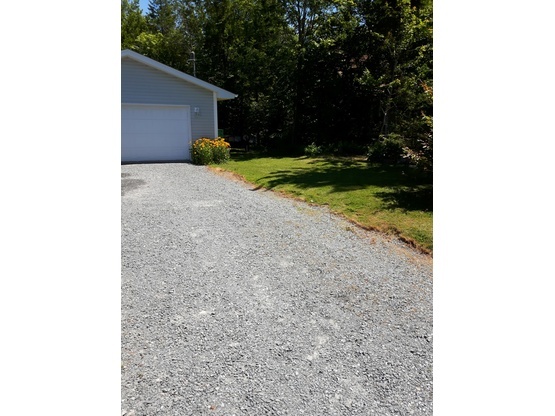 We are just outside Halifax, Nova Scotia, in an area called Middle Sackville. We are about 25 minutes to downtown Halifax, and about 20 minutes to Windsor, NS, the gateway to the Annapolis Valley! 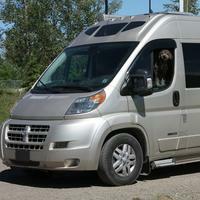 Class B RV (van-based) - Roadtrek Zion - 21 foot long. No slides, no funky decorations! They are like old friends that you havent seen for a long time . I am recomending them in a heart beat . The Roaming's team are respectful and super nice people, we have exchanged many beautiful memories of theirs and our trips around a fire in the backyard in the presence of their "Merry Mutts" as they name them. Dogs, who were also very friendly and calm. We suggest that you receive them without fear. We would have liked to have more time to share with them but this is only part discount, we hope! We enjoyed hosting B-Roaming. Had a lovely visit and found we had much in common. Would gladly host them again. Awesome communication right from the start, great conversations, great meals, great company, just simply great, and without a doubt when we venture to Nova Scotia we will make it a direct point to visit. We would host them again anytime. and they are welcome back anytime. Happy to meet these guest and their two friendly dogs. We are envious of their tour of the west and enjoyed talking about their plans as we hope to also travel west this fall. Great couple traveling wherever the wind might take them. Super communication and very pleasant to chat with. Loved their happy dogs; was fun watching them stretch their legs and explore the woods! I’d be happy to have them stay anytime! I enjoyed hosting B-Roaming for a night. Unfortunately, we just got to chat for a short while, but they were nice folks and are welcome back whenever they pass through. Gwen and Brian are always welcome back. Great couple, very respectful, friendly and quiet. Hopefully the weather will not be so hot and humid upon your next visit, it would have been enjoyable to sit around a bonfire. Happy Trails! Roaming is a great couple to host. They were very friendly, as well as their two dogs who spent one night with us. We enjoyed sharing RV experiences and trips and they gave us a tour of their RV. So much compacted into a Class B. Hopefully at some point we will travel NE and pay them a visit in Nova Scotia. B-Roaming were wonderful guests! They gave my husband and I a tour of their rig (a quite new Roadtrek), and they've done some fantastic little mods to really make it a great home-away-from-home for them and their two lovely dogs. They were considerate and quiet guests, I wish we'd had more time to sit and chat, but they are definitely most welcome back here again! We enjoy having the four of them staying at our place. We had good conversations with them not so much with the dogs. The dogs really loved the kid pool and catching the ball. The four of them are welcome anytime to our place. This couple spent the night with us, would recommend them to other boondockers. Enjoyed their travel stories to northern Canada and Alaska, hope to use the info sometime ourselves. It was so nice to have B-Roaming stay with us once again on their way home from their journey to Alaska. We enjoyed hearing of their travels and experiences while traveling the North country. As before they are the most enjoyable guests to have and we wish them safe travels home and look forward to meeting up with them in the future as we have indeed become friends! Very highly recommend them, wonderful people! We enjoyed our recent visit with B-Roaming. Wonderful people and knowledgeable about the RVing adventure. We give them a good recommendation and welcome them back anytime. Gwen, Brian, & their two dogs spent two nights with us and what a pleasure it was to have them. We exchanged life & travel stories as well as some great general conversation. Their dogs were some of the best behaved animals we've ever encountered and were quiet and obedient..
We are glad they choose to stay with us to recharge for the next leg of their journey to Alaska. When we arrived our hosts greeted us warmly and provided us with an electric hook up. We enjoyed chatting with them about our mutual travel destinations and we had a nice restful nights sleep. Overall it was a good layover in our travels. We would be happy to stay here again in the future. Our first stay ever and it was wonderful! Gwen and Brian were such wonderful hosts! They made us feel right at home, provided water, electric and wifi right away, and were awesome sources of local and general knowledge! We got to use their beautiful back yard and deck for a fantastic rest day from way too much travelling, and had a great potluck dinner on the second night trading travel stories and learning so much more than just local info. Thank you for sharing so much wisdom with us. Maya and Shady loved having the yard to play in and fun playmates in Ronin and Carmen. We’re actually worried we’ve peaked too soon and found the best hosts on the very first stay! Thank you so much for your incredible hospitality and kindness - you guys are awesome! I have a much better idea of which style RV I’m gonna have next. We were made to feel really welcomed. Gwen and Brian gave us lots of great tips and we shared a meal together. House located a few houses from a lake with a beach. Would love to visit again. Hugs to Carmen and Rowen. Very happy to meet again B.Roaming . We hosted them at our sugar shack last year. They are very friendly and generous. They are great travellers and they share there expériences. What a pleasant stay!B-Roaming were more than we could have hoped. They went above and beyond to make us feel at home. They were a welcome sight when we got turned around in Halifax! Hope we meet again and have an opportunity to host them one day.